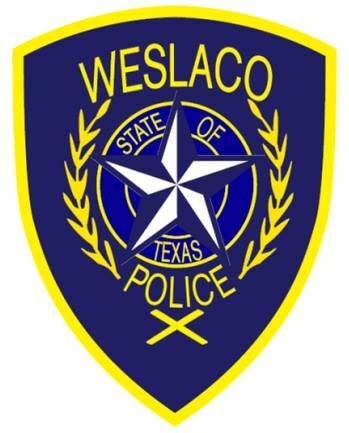 WESLACO — The Weslaco City Commission has narrowed down the list of 20 police chief candidates to six finalists. The position became vacant when now-former police Chief Stephen Scot Mayer resigned effective Dec. 31, 2017. Mayer, in an email to police department staff last December said he was asked to leave the department to which he agreed. >> and Robert Vela, a law enforcement instructor at South Texas College. The commission along with City Manager Mike Perez will discuss the applicants during executive session Tuesday. The six finalists could be interviewed as soon as Feb. 27, according to Suarez. Rivera, a Weslaco native, has worked at the sheriff’s office for nearly four years. He oversees the training academy and manages the department’s budget. Rivera previously worked as chief deputy constable for Hidalgo County Constable Pct. 4 and served as chair of South Texas College’s law enforcement program, according to his employment application. Rivera has a bachelor’s degree in criminal justice and master’s degree in public administration from the University of Texas Pan American and is enrolled in Northcentral University’s business administration doctoral program, according to his application. Ozuna, a graduate of Weslaco High School, also spent some time at the Hidalgo County Sheriff’s Office where he oversaw procurement of police equipment and other expenditures as a captain before retiring in 2016, according to his application. He has more than 30 years experience in law enforcement, according to Texas Commission on Law Enforcement records. “I think they have a very good police department,” Ozuna said of the Weslaco Police Department. Ozuna, who has headed the Sullivan City Police Department since July 2016, also spent some time as interim city manager. Galvan, a graduate of Harlingen High School, is already a police chief but is interested in working for a larger city. “It’s the pulse of the community that matters the most,” Galvan said. He currently oversees the operations of the San Benito Police Department, where he started his law enforcement career in 2000. “Ultimately, we’d all have to work together and try to find balance and work toward a common goal because it has to be about all of us working together for the community,” Galvan said of the possibility of leading the Weslaco Police Department. He’s worked as emergency management coordinator and also supervised the narcotics division. “I have always played a vital role in community outreach with local housing community, school district, faith grounds surrounding cities and county partners,” Galvan wrote in a letter to the mayor and city commissioners. Salinas, Vela and Lopez could not be reached for comment. Salinas has been with the Hidalgo County Sheriff’s Office for nearly 13 years and currently oversees the major crimes unit. Prior to working for the sheriff’s office, he was employed by the McAllen school district police department where he worked as a K-9 handler and patrolman. Lopez, a graduate of Donna High School, has a Bachelor of Science in criminal justice from Kaplan University and an associate degree from Bee County College in applied science in law enforcement. The mayor said all finalists will be asked the same questions during their interviews that are expected to be completed this month. A chief could be hired as soon as March. “No matter who is selected, I think the city of Weslaco is in fine position,” Rivera said of the finalists. This report has been updated to reflect that Joel Rivera worked for Pct. 4 and that Robert Lopez is captain.